This is Robert Nainggolan. 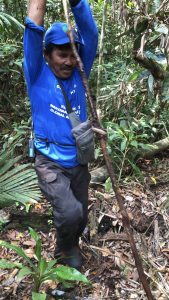 He is the Forest Protection Division Head at our Sumatra Merang Peatland project, Indonesia. 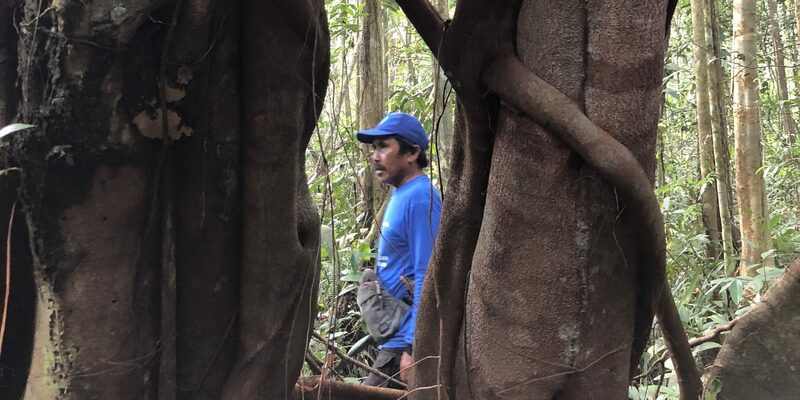 We interviewed him about his work leading the Forest Protection Division which manages the work to restore the 22,000 hectares of peatland, including monitoring biodiversity and reforestation. I have no educational background. For working background, I came from what you can call an “entrepreneur”, I was doing anything as long I could get money to buy food; from logging, porting and slicing (milling wood for timber), and fishing. But now I am working to protect the forest under the project. You used to be an illegal logger in this area. What was that like? The boss mainly benefits, the worker doesn’t really get anything. There is no written contract, instead it is paid through lending money from the boss to the worker, if the worker borrows IDR 2 million, that’s the amount that must be paid pack until the worker finishes his contract by paying off the debit. The returns are always diminishing in illegal logging activities, and the number of workers can be more than six individuals, depending on how big the area is. The worker is always at the bottom of the pyramid and receives the least money, depending on how many people above you are taking a cut first. What made you change from being an illegal logger to working in a conservation project? Actually, the story is a bit complicated. At first, I came here (Kepahyang) with only one shirt and pants and my guts. I had success at first, but I lacked stable employment and I grew tired of falling down and repeating until I was tired. 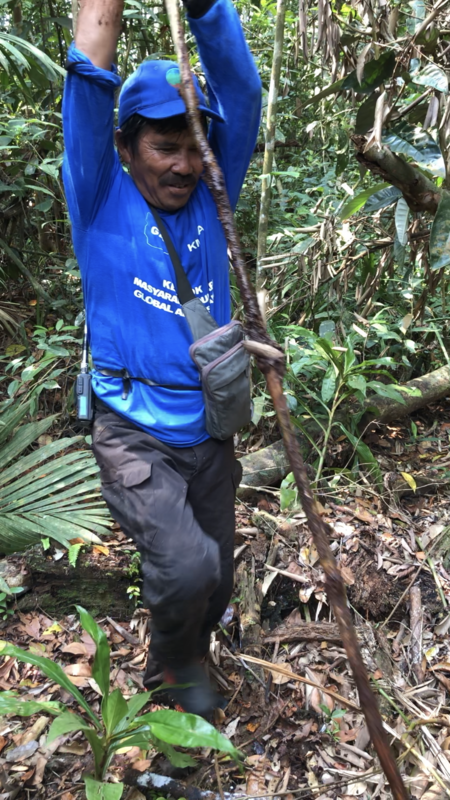 Then an organization came into the area that started working to conserve the forest near Kepahayang. I always followed that project closely, but their activities didn’t make much sense to me. At that time, I didn’t have a job, but I was curious and followed them and participated in their efforts to socialise the project with villagers. When they formed the village group for Kepahyang, I was chosen as the leader, and the project gave me coaching and training about why protecting forests is important and the project activities. I remember thinking, why would these outsiders make such serious research on our forest? Why do they teach us about restoration, taking it very seriously when they come to my house? They taught us everything, even though we are the local people and very ignorant of our forest. It hit me in the heart and made me focus on this project with all my might to capture and remember all the lessons they gave me. It makes me focus my own contribution by working to conserve our forest. Why is it important to restore and protect this land? I loved the project from the beginning and I was I always the guy they would call for information and expertise. Everyone from bachelor to professor seems to study this area and is interested in it, not only in Indonesia also from overseas too. I never realised that this forest matters to people all around the world. We need them, because just me living in this village alone can’t protect the forest. We need the help of the project and the people who care about it to make sure the forest regrows. Also, we protect the forest because it will help the villagers’ livelihood by enabling them to access all of the natural resources such as fisheries, not only from Kepahyang village, also from Bakung and any other villages nearby the areas. Why is the project important to the people that live in Kepayang/surrounding villages? This project has shaped and provided an understanding of group and community procedures, as well as helping form a sense of love for the environment by involving rural communities in the activities carried out by this project. The project has a direct impact on improving the welfare of rural communities by providing jobs to surrounding communities. What activities do you most enjoy in your job? What I like most is basically the patrol activity. I like to patrol all areas of the project while also monitoring the different project activities that are happening across the concession. The condition of this forest 10 years ago is very different from how it is now, the forest used to be very good. The forest and its contents are almost extinct, particularly because of the great forest fires in 2015. The loss of forests and animals that are in it is of great importance to the community directly and to me personally because the community will lose one of its livelihoods. Also the pollution caused by damage to the environment will affect local residents’ settlements. 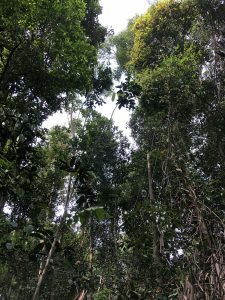 What is it like to work in the Sumatra Merang Peatland Project? Working in here is very fun and challenging. I am very grateful for the project coming to our village area, as we now understand the benefits of maintaining the environment around us especially our forests, and also providing training in nurseries and planting. In my day job I am responsible for maintaining the forest integrity and safety by conducting routine patrols to protect our forests from the risk of fire and illegal logging and poachers. I also make seed nurseries which later can be used for forest re-planting. What does he hope to improve for younger generations through his own work on the project? I hope they have an understanding about how important the environment is and especially how important preserving the forest is. I personally always urge the younger generation, as the nation’s successor, to understand the importance of the environment and that the forest should not be logged or exploited for its biodiversity to be taken advantage of, but can actually be “exploited” by protecting and guarding it. Learn more about the activities of our Sumatra Merang Peatland project to restore the landscape.